2016 was a year filled with happiness, triumphs, surprises, upsets and failures, but ultimately it was filled with love. One of my favorite things to do on New Years Eve is to look through the pictures from the last year and reminisce on all that’s happened. I’m a little sad to see the year end, but I’m excited for what 2017 has to bring. To ring in the new year, Kev and I wrote out some of our resolutions (complete with a couple glasses of champagne punch). I love that resolutions provide a way for us to visualize what we want to continue or change in the new year. As a big sister, it was great to hear what Kev wanted to accomplish and how he planned to do so. 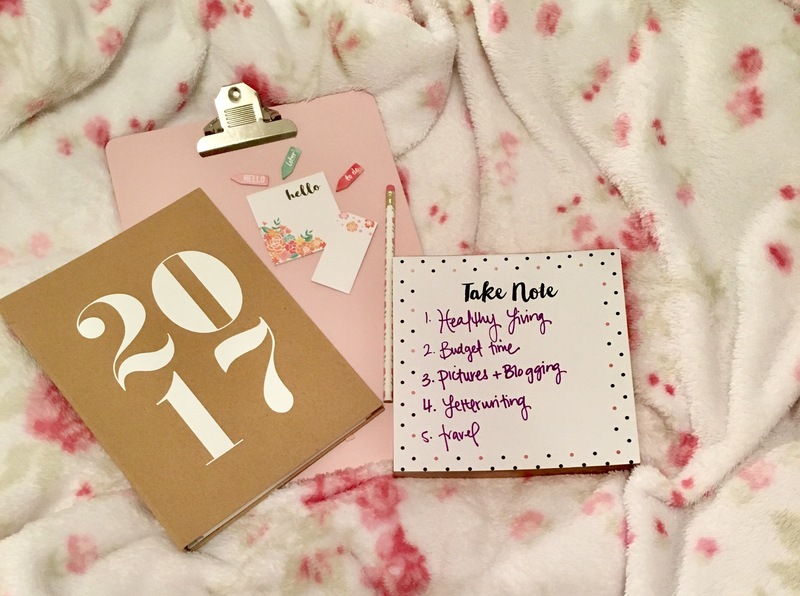 For me, it was so helpful to talk about how I was going to complete my resolutions while staying accountable. I’m a Type A person who needs structure and lists to complete my goals, so the accountability piece was crucial. I also made sure to include resolutions from the last year that I wanted to continue. Sometimes the word “resolution” makes it seem that we have to end one thing in order to gain another. But I don’t want to forget the things that made me happy in the previous year in order to gain a new perspective. I think that’s the best part of life – that we can continue building and growing while still holding onto the lessons learned.